Enjoy the view of the pools or the docks from your terrace at *Puente Vista Condominiums*. 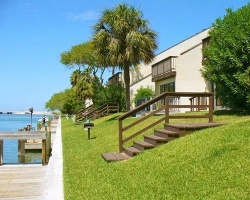 When not exploring Corpus Christi, combing the beach, or heading to Padre Island, relax at your vacation home at Puente Vista. The resort has an on-site outdoor pool for when you prefer to lounge poolside instead of on the beach. The on-site boat dock also provides fishing opportunities. A grocery store is just a five minute drive away and there is a convenience store nearby. On-site laundry facilities are also provided. 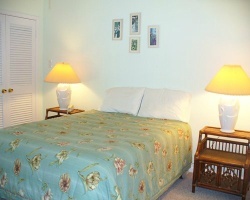 Relaxing resort with comfortable accommodations and nearby amenities! Floating week! Inquire for details! Price is Negotiable! All reasonable offers considered! 2018 Maintenance Fees paid thru 10/1/18! Available for booking within the red season!